Argentine wine is exported around the world and is especially renowned for its fine Malbec, Pinot Noir, and Torrentés wines. This tasting experience lets you sample a variety of Argentine wines without leaving Buenos Aires. 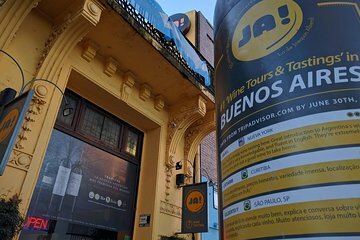 Visit a wine shop in Palermo Soho, where an experienced sommelier will introduce you to five quality wines from around Argentina, and learn about the winemaking process, different grape varietals, and classifications.